Hugs & Kisses Valentine, Kids Valentine Cards, Bag Topper Valentine, Valentine's Day, Printable Valentine, Bag tops, Instant Download. 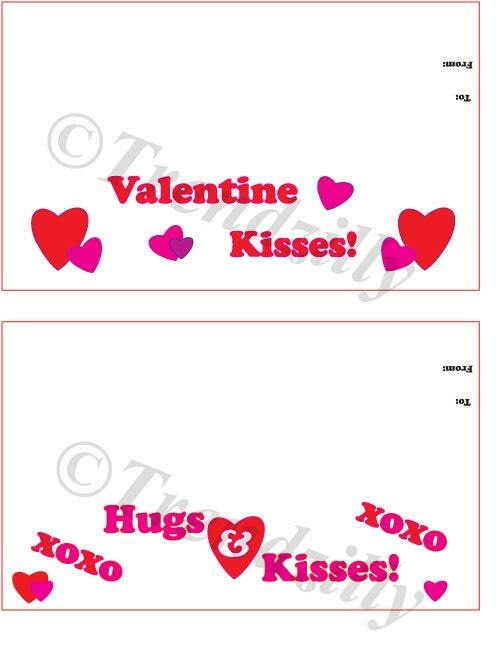 This is a printable download of 4 different bag top valentines. These bag toppers are made to go over the top of a zip lock sandwich/snack bag. 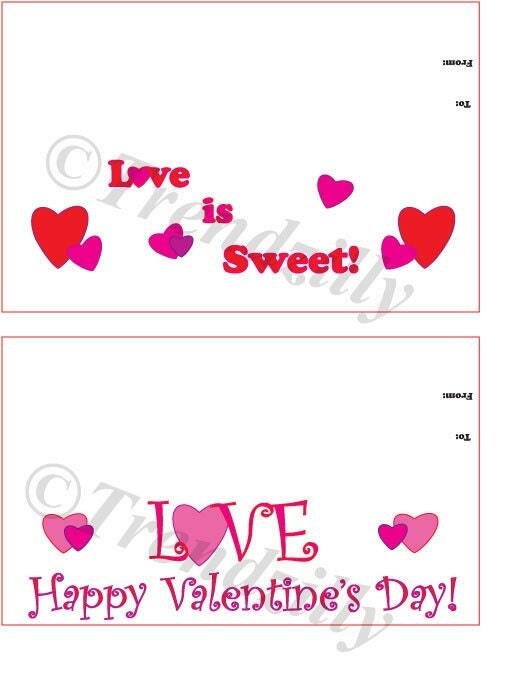 Fill bag with candy and fold topper in half and staple to the top of the bag for a cute and easy Valentine, your kids will have fun making these. There is a place on the back to write their name and who it's for.